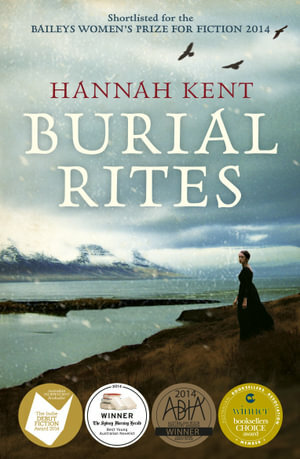 Hannah Kent have written a beautiful yet tragic story about Agnes Magnúsdóttir who has been condemned to death and is awaiting the end of her time on a small farm where she is treated with suspicion and rejected at every turn. Based on a true story, I felt every emotion Agnes, the protagonist, went through and while I had hoped for a different ending, I understood why the story ended as it did. Set in northern Iceland during 1829 the starkness of the countryside, the bitterness of the cold winter are reflected in the stalwart characters. The minister who continues to minister till almost dead, the wife who is resigned to having a murderess in her home till the penalty of death can be carried out ... The life of these people is hard and unyielding and you'd be forgiven for thinking these people were were just as hard and unyielding and yet they're not and its in this that the story of how Agnes finds herself in this situation is interwoven throughout the long winter as everyone goes through the regular motions of their life.